First you will need to marinate the chicken, so cut the breasts into cubes and place in a bowl. 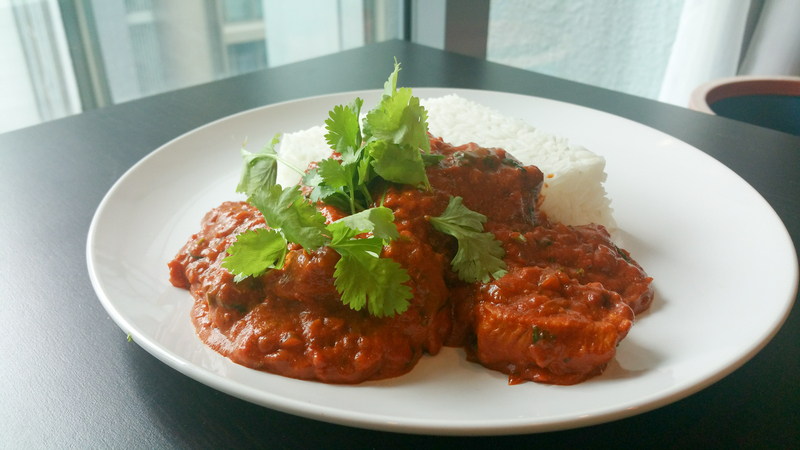 Sprinkle on the Tikka Powder and using your hands massage the powder over the chicken. Squeeze the lemon juice over the chicken and add the yogurt. Mix everything together thoroughly and then set to one side for a few hours or even overnight. The longer you leave it to marinade the more flavour will impart into the meat. Once the meat has been marinaded you will need to fry the chicken in a fry Pan. I didn’t use any oil as there is plenty in the yogurt and my fry pan was non stick but you can use a little oil if needed. Gently fry the chicken pieces until the marinade has all been absorbed into the chicken. Then add a little oil to allow the meat to get some nice caramel colour and flavour. Once you have cooked all the chicken place onto a plate and set to one side. Next dice the onions and saute in a fry pan with a little oil, for a minute or two. Add the crushed garlic and the tikka powder to the onions and stir through. Grate some fresh ginger into the pan and then add the tomatoes, sugar, chicken stock, pepper and salt. Stir together, bring up to heat and then simmer for 20-30 minutes until the sauce thickens. Now add the cream and fresh coriander into the sauce, add the cooked chicken and bring everything back up to heat. 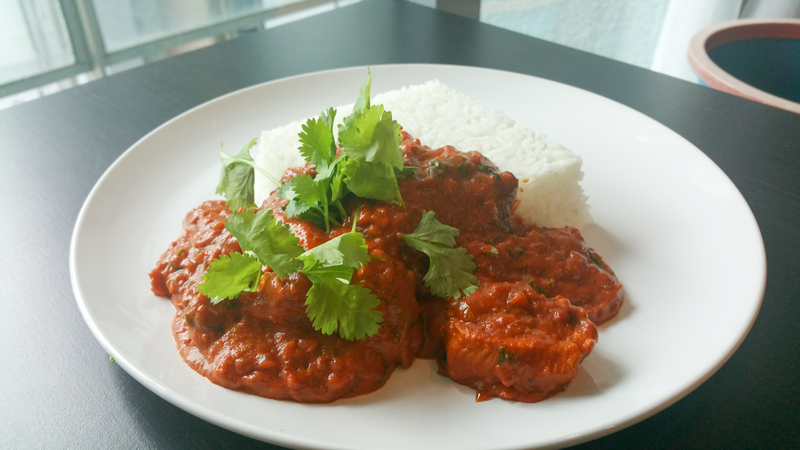 Your Chicken Tikka is ready to be served with Steamed Rice and Poppadoms.